Last year, Kodak introduced the Zi8 HD pocket camcorder. This relatively inexpensive video camcorder fits in your shirt pocket, boasts an impressive set of features, and captures fantastic HD images. 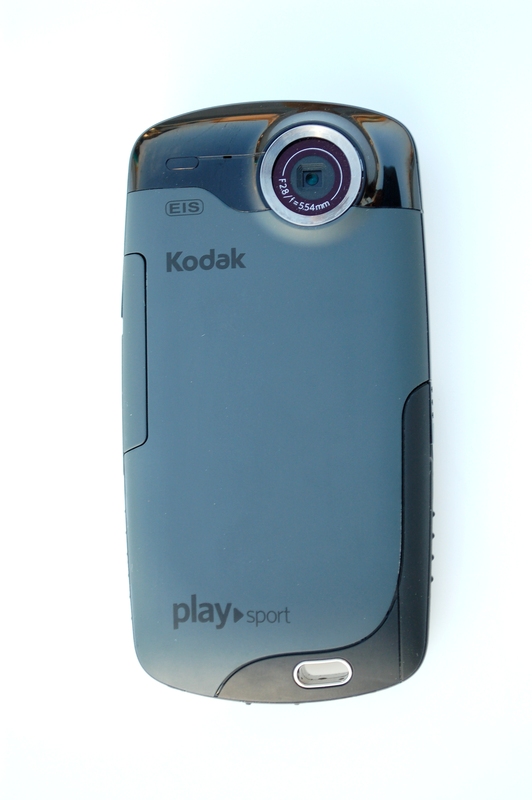 This year, Kodak followed up the Zi8 with a waterproof version called the “Playsport.” I have had a chance to test out the new Kodak Playsport and have been impressed by this little HD camcorder. The Playsport retails for around $150 and I think it just might be the video camera a lot of anglers have been waiting for. Here’s why. One of the inherent problems with video cameras has always been that they are a pain to use. They’re cumbersome to pack, frustrating to operate, and downloading videos from cameras to computers can be a nightmare. And of course there is always the overriding fear you’ll slip and get your precious video camera wet. For these reasons, video cameras have never married well with fishing environments and fishermen. But the Kodak Playsport is a new breed of camcorder. It features a clean compact design with a solid build feel that’s waterproof up to 10ft. The Playsport’s display screen is easy to read and the camera is outfitted with large buttons and simple menu options. These features make it safe and easy to use on the water. The Playsport powers up quickly and the thumb-sized record button on the back of the camera responds instantly when you press it. These are great features because waiting for a slow camera to boot up while your buddy’s fish dries out or flops away is maddening. Downloading videos from the Playsport is simple and requires no re-coding or special formatting. The editing software, should you choose to use it, is built in to the Playsport and it downloads when you plug the camera into your computer for the first time with the supplied USB cable. The Playsport works with both PC and Mac computers and requires a Pentium 4 2.8 GHz processor or better to play back HD smoothly. The Playsport also comes with HDMI and AV cables so you can play video from the camera straight to a HDTV. The Playsport is powered by a rechargeable lithium ion battery. Battery life in any electronic device is tough to measure because so many variables affect it. But, you should expect to get at least 1 hour or more out of the Playsport’s battery when the camera is on the highest quality record settings. Videos are recorded to a SDHC memory card you must buy separately. I bought a super-fast Class 10 8GB SDHC card for about 50 dollars and it easily stores several hours of HD video. The quality of the video captured by the Playsport is very good. Images are crisp and clear, colors are vibrant, and videos overall have that unmistakable “HD” look. The Playsport’s low light performance is so-so (like most video cameras) but it is acceptable. When set on the 1080p 30fps capture mode, the Playsport captures landscapes, slow-moving wildlife, and still life beautifully. Action shots, fast-moving wildlife, and fishing sequences recorded in the 720p 60fps mode are vibrant and rendered smoothly. The Playsport features Electronic Image Stabilization (EIS) to take the edge off the shake common to small lightweight cameras. The EIS helps, but don’t expect it to overcome all vibration. It won’t. The bottom line with these little cameras is that they are virtually impossible to hold steady. If you want clean professional looking images with the Playsport or any other small camera, remember two things- First, use a tripod, monopod, or some sort of steadying device. Second, don’t use the zoom. If you practice these two things your finished images will be much better. Speaking of zoom… the Playsport has a 4X digital zoom. Don’t use it. The Playsport also features a special color-correcting setting for underwater video. Video captured underwater with the Playsport on this setting looks very good so long as the water is clear. If you plan to make underwater videos with the Playsport, keep in mind that the minimum focal length is 39 inches (there is no macro focus setting) so you will need more than 39 inches of visibility underwater or your subject will not be in focus. For this reason it is probably better to think of the Playsport as a video camera that can be dunked underwater rather than an underwater video camera. Also featured on the Playsport is a still image capture mode. With a click of the center thumb button/toggle you can switch the video camera over to photo mode and take photographs at a 5.3 mp resolution in a 16:9 widescreen format. Although the option to take still photos is convenient, I have not been overly impressed with the resolution of the still photos taken with the Playsport. Definitely don’t buy the camera just because it can take photographs. Waterproof still cameras offered by Canon, Olympus, and Pentax produce far better resolution. All in all I believe the Playsport will prove to be a very good camera for anglers and outdoor enthusiasts. The Playsport is affordable, portable, waterproof, and captures very good quality videos which aren’t a huge hassle to download. On the downside, the Playsport does not include an SDHC memory card, there is not a macro mode for extreme close-ups, battery life is so-so, and the 5.3 mp still camera is not that great. Of those, I believe the lack of a macro mode is the biggest downside because I like to take close-up shots of flies, fish, bugs, etc… No doubt, in the coming years Kodak will improve and refine the Playsport camera and I’m certain other manufacturers will jump in with their own waterproof HD models. 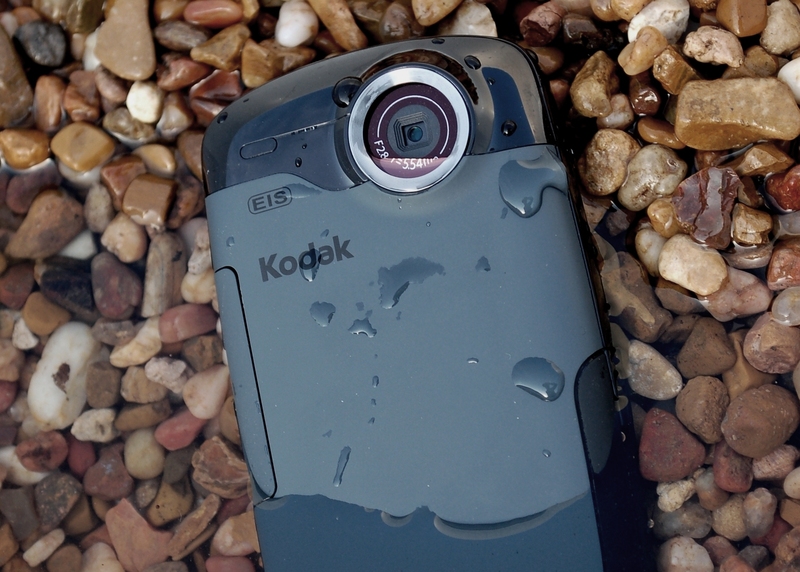 But the bottom line for now is that if you are looking for a good, simple, waterproof HD pocket camcorder, the Kodak Playsport is the way to go.